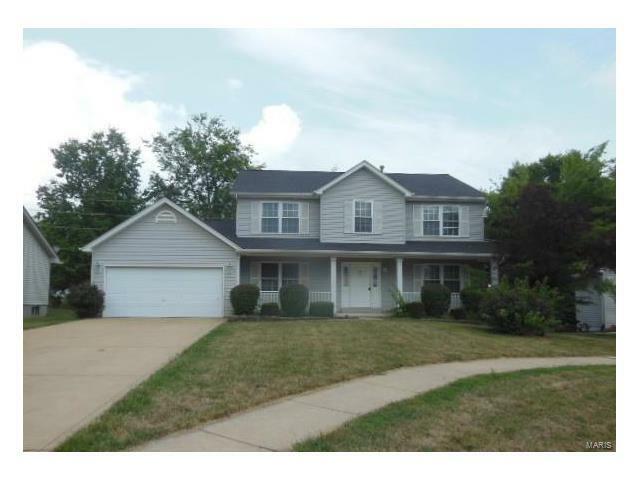 Spacious 4 bedroom, 2.5 bath 2 sty home with covered front porch with deck in rear. Entertaining would be a breeze in this home with it's open floor plan, both formal living and dining rooms....and tons of space spilling out onto the deck and backyard. The laundry room is even roomy with built in shelving for storage. The 2nd floor loft area can easily be a 2nd family room, play area or office -- great options are available to you. Great location, private setting with trees in back yard. Set your appointment to show this home today! See agent remarks for restrictions and instructions. ** MULTIPLE OFFER NOTICE & INSTRUCTIONS ** Deadline for highest and best from all buyers is 2:00 PM local time Wednesday (11/01/17). Hwy K south of I-70 to right on Babble Creek to right on Breeze Point Lane to right on Knoll Ridge Ct.